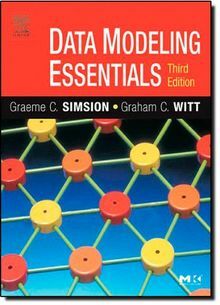 Data Modeling Essentials (Morgan Kaufmann Series in Data Management Systems) von Simsion, Graeme C.
This book is generally considered to be one of the best practical guides to data modeling and is commonly praised for its clarity and usefulness. Although it is a practitioner's guide, it garnered healthy classroom adoptions in the US and Australia. For the 3rd ed the authors have added a substantial online component including UML versions of all the diagrams, extra examples, course notes, questions, and solutions. Also, Graeme Simsion is a highly regarded member of the data management community, both in academia and industry. He won the 2002 DAMA Lifetime Achievement Award and the 2003 International Achievement Award. Mehr von Simsion, Graeme C.